Biography: Melisa Asli Pamuk became the lead character Hayal in the short movie Dat zit wel snor in 2004 which was a joint production of Bos Bros. Film & TV Productions and Interkerkelijke Omroep Nederland (IKON). She started her acting career when she was 13 years old and she started her model career when she was 14 years old. Melisa Asli Pamuk became Best Promising Model (Umut/Gelecek Vaat Eden Model) in 2009 Best Model of Turkey competition. Melisa Asli Pamuk became a Miss Turkey in 2011. She represented Turkey in 2011 Miss Universe competition in Sao Paulo, Brazil. 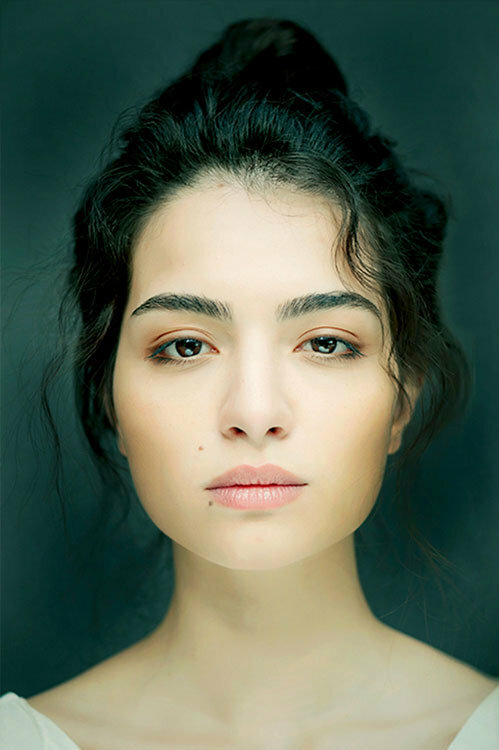 In order to improve her acting skills, Melisa Asli Pamuk took acting lessons at Sadri Alisik Culture Center. She made her debut with her role in popular Turkish drama Love in the Sky (Yer Gok Ask).